Move over shabby chic, there’s a new trend in town. For those tired of the shabby chic wedding trend, the industrial chic theme provides a perfect antidote, combining vintage elements with an edgy, modern twist. 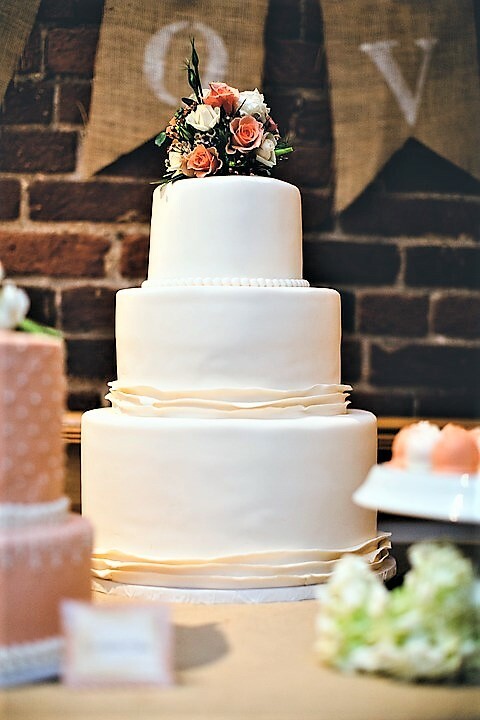 Vintage, rustic and shabby chic weddings have been a favourite with brides for many years now, loved by many for their whimsical, relaxed charm and cute do-it-yourself details. However, if you’re not a fan of bunting, burlap, mason jars, and pastels, and are looking for something a little bit different for your big day, you might want to check out the latest wedding aesthetic – industrial chic. This stylish, contemporary look borrows some elements from the rustic, vintage theme, but with an edgy, more modern twist. If you’d like to incorporate some industrial chic into your wedding, here’s how you can achieve the look. An industrial-inspired venue can really help to bring your theme to life, but don’t worry, this doesn’t mean that your wedding has to take place in an abandoned warehouse or derelict factory! Exposed beams and brickwork help to give a warm yet industrial feel, and converted barns like Crondon Park’s is one of the best wedding venues in Essex and can work really well for this style of wedding. Set the tone for your wedding with stylish, contemporary invitations that fit with the industrial chic aesthetic. Minimalist and modern designs work best, rather than something more formal with flowery fonts and fussy graphics. Nineteenth century-inspired letterpress printed stationery also fits really well with this theme, offering a traditional yet stylish finish. Be sure to continue the theme throughout your wedding stationery for a consistent look. Like the stationery, the decor should be minimalist rather than over the top. Let your venue speak for itself and accentuate with vintage lighting, simple yet quirky centrepieces and bold yet simple flower displays that are heavy on the foliage. You can even include some reclaimed industrial props such as vintage typewriters and original shipping trunks to really bring the theme to life. Metallics are a key element of any industrial-chic wedding, and can be incorporated in a number of different ways. From vintage metal signs through to metal vases for the centrepieces, and metal crockery or glassware. Even the bridesmaids (and possibly the bride!) can get in on the act with stylish, shimmering metallic dresses. Pewter and platinum shades are bang on trend for this style of wedding, but you could also choose to add some warmth to the decor with touches of bronze and copper. Whereas fairy lights and candles are perfect for a shabby chic wedding, the humble Edison bulb takes centre stage in an industrial-style affair. 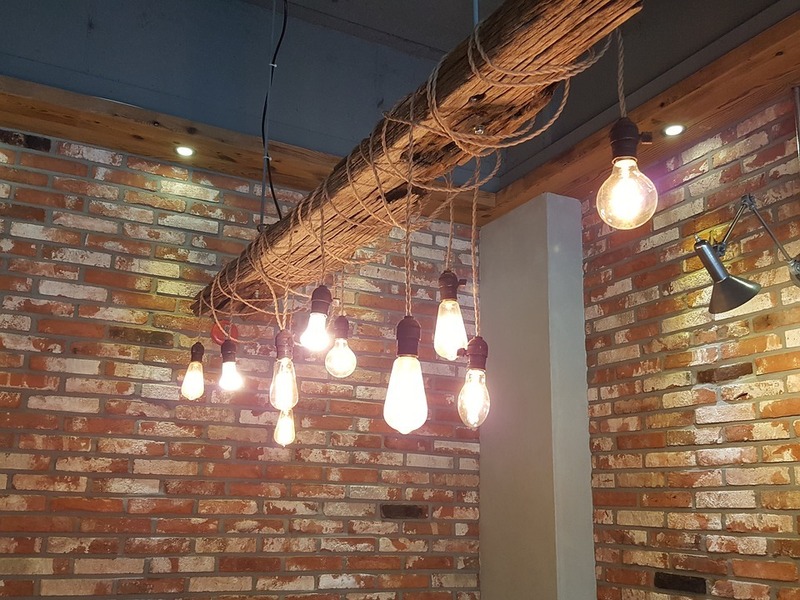 For fun, atmospheric lighting that looks great in photographs, try hanging strands of Edison bulbs along the walls or from the ceiling. You could also fill large glass vases with mini Edison bulbs, surrounded by flowers or foliage, for a unique centrepiece that is sure to get guests talking. These guidelines however are just a starting point and are certainly not set in stone. An industrial chic wedding can be taken in any number of directions, so have a bit of fun with the theme and create a unique, stylish wedding that really stands out from the crowd.